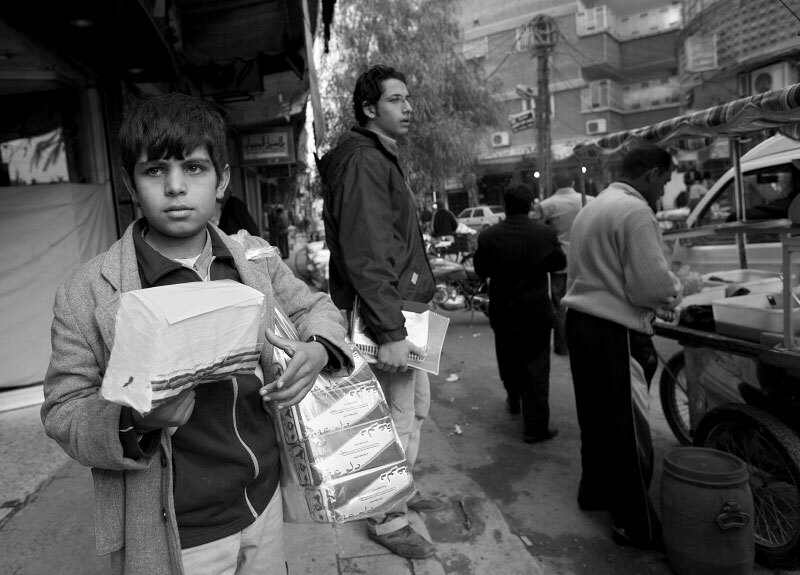 Ali, 9, sells tissue on the street of Sayed Zainab, Damascus suburb December 9, 2007. Both of his parents are killed in Iraq and now he lives with his uncle. He sells tissue paper on the street to help his adopted family. Although Syrian government allows Iraqi children to attend public school, it is estimated by Unicef that the only 10 percent of Iraqi children are enrolled to school mainly because their cannot afford it, and children has to work to support their family.